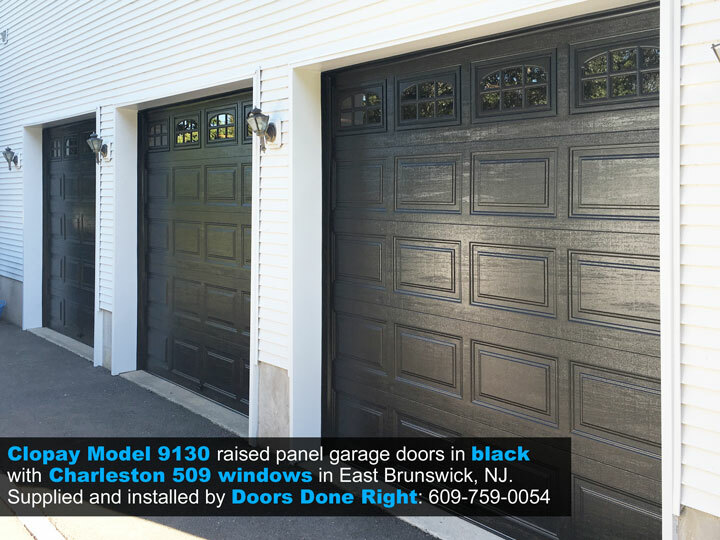 Black was a different choice, but it’s a classic look that works great with many homes. 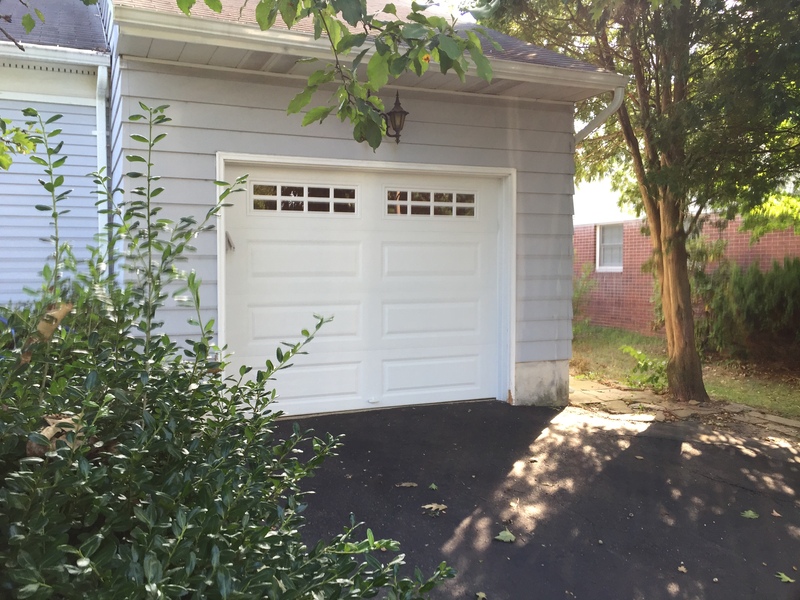 Going with these doors was a little bit of a tough decision for this family, but they were all super happy with the results once the doors were in. 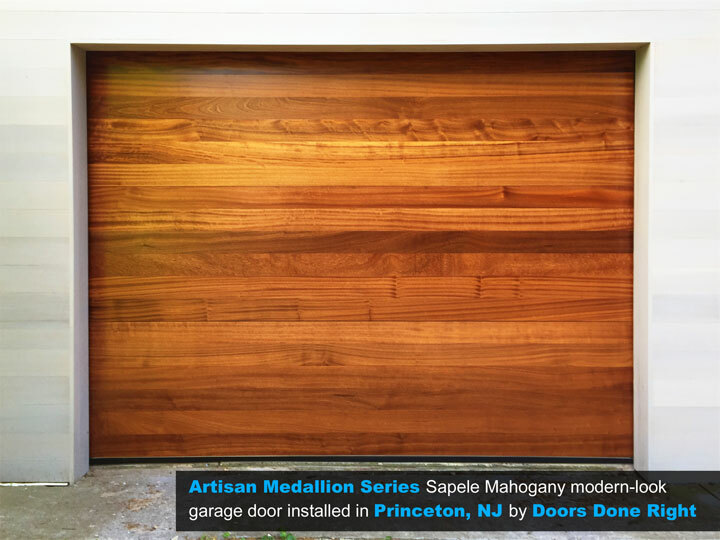 We love the way these doors look. 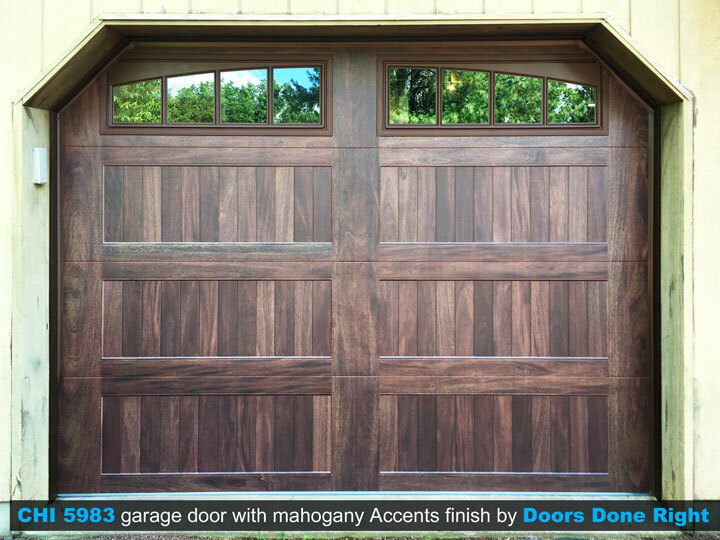 CHI Accents finishes have a lot of variation across the door, giving it a very realistic and rustic look. They are available in multiple tones. Want to learn more? 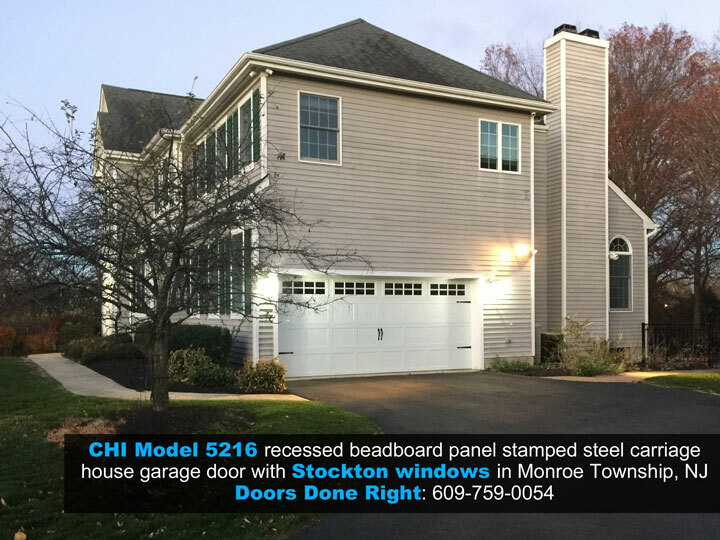 Take a look at CHI’s brochure and give us a call at 1-844-404-DOOR. We’d be happy to discuss pricing and features with you. Call us today for a free, no-obligation in-home (or over-the-phone) consultation. We’re happy to help! 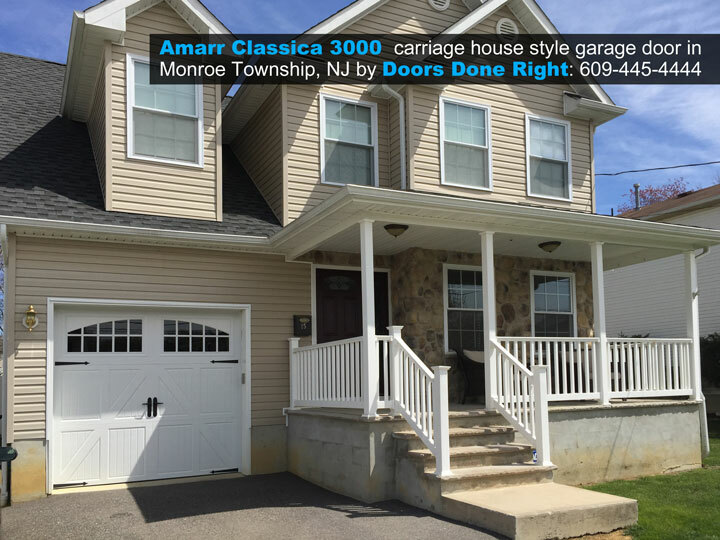 We also carry doors from Amarr, Clopay, Haas and many other brands. This customer called us and already knew exactly what he wanted. 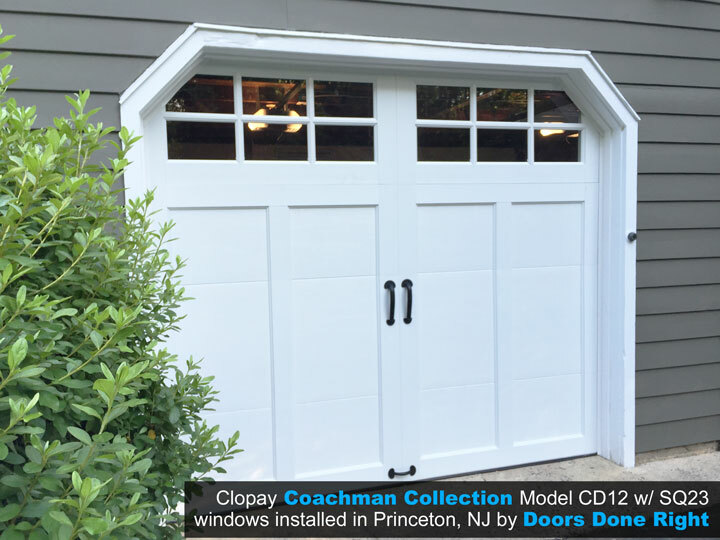 He had priced out these doors at the local big box store. 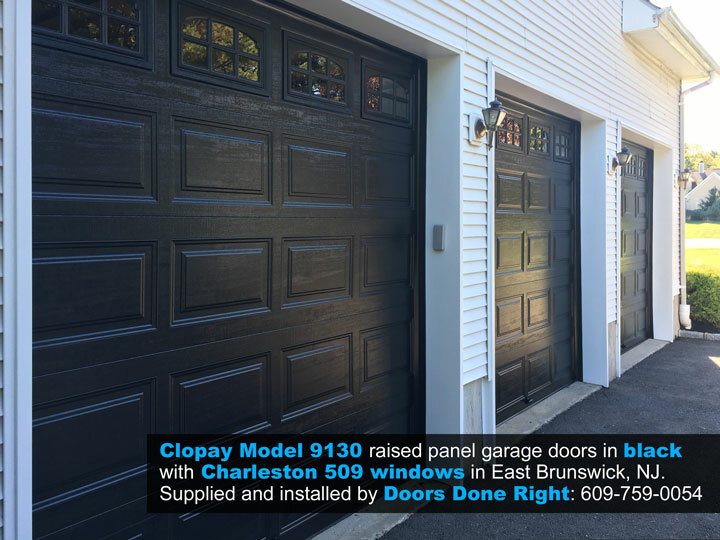 We were able to beat their price (by quite a bit), seriously upgrade his hardware, and provide the highest quality, neatest, most durable installation around. 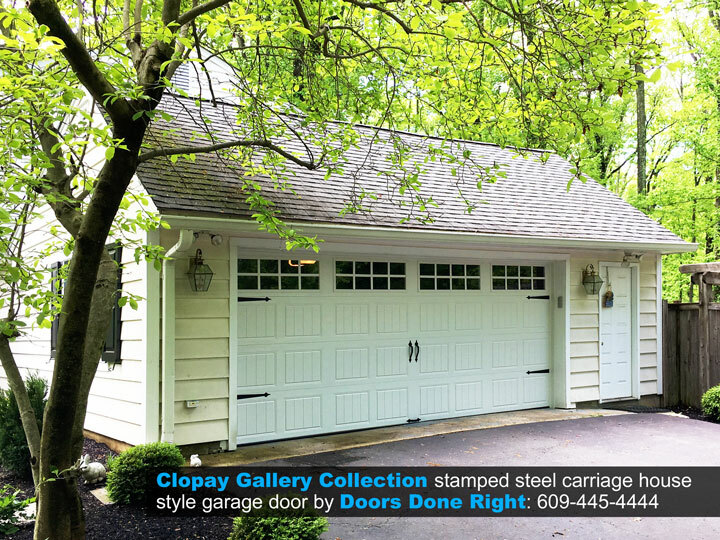 Clopay’s Gallery Collection doors are stamped-steel carriage house-style garage doors that come in a variety of colors, including their Ultra-Grain wood-tone finishes. Or call us now for a free, no-obligation in-home (or over-the-phone) consultation. We’re happy to help! 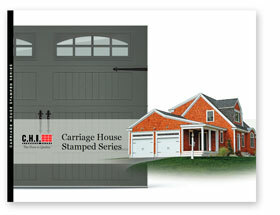 We also carry doors from Amarr, CHI, Haas and many other brands. 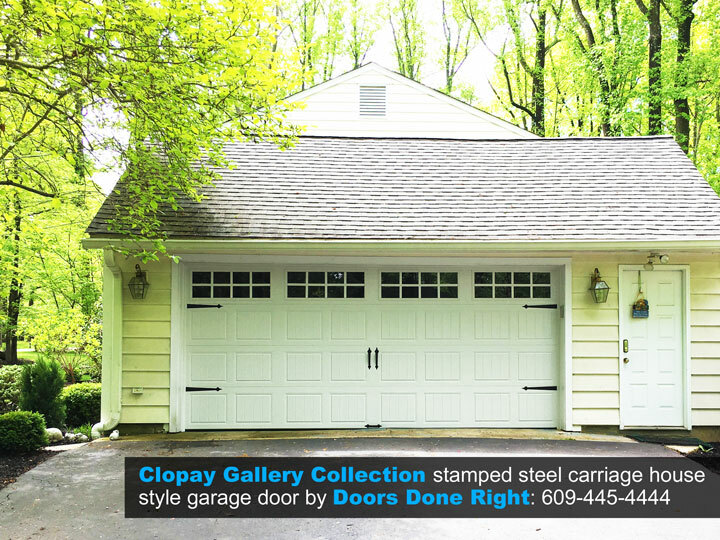 For a little bit of a different look, CHI’s stamped-steel carriage house garage doors feature a very nice, tasteful-looking recessed beadboard panel design. 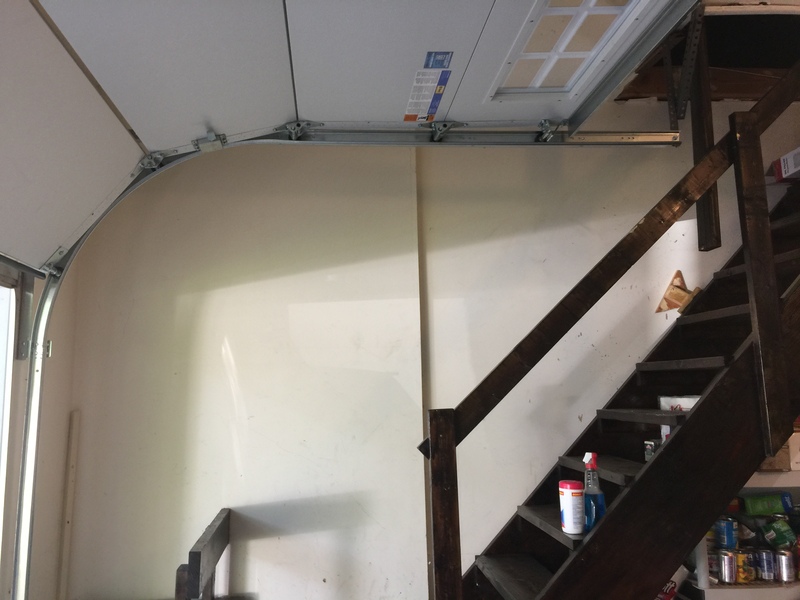 This customer wanted to make the stairs going up to his attic fully useable, but the tracks of his old garage door were in the way. 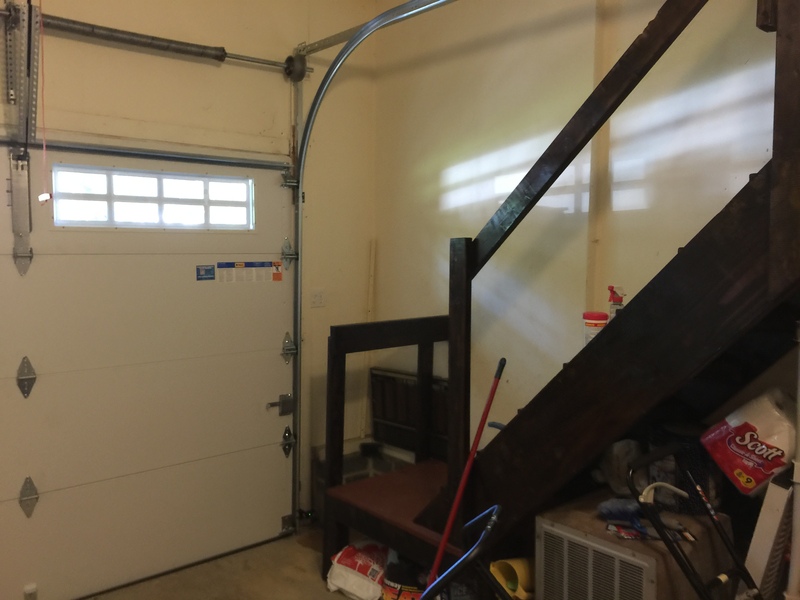 He was also concerned about people in his family using the stairs and touching the extension spring that was there previously. 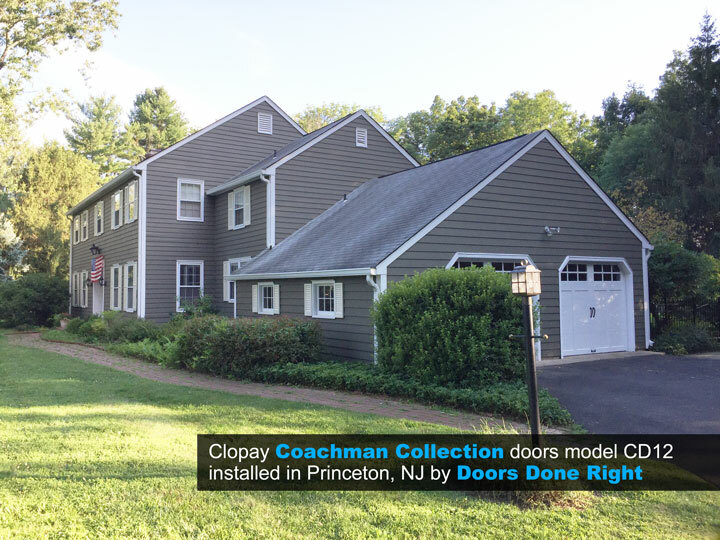 Doors Done Right installed 32″ radius tracks (instead of the standard 12″ radius tracks) giving much more headroom to people walking up the stairs. 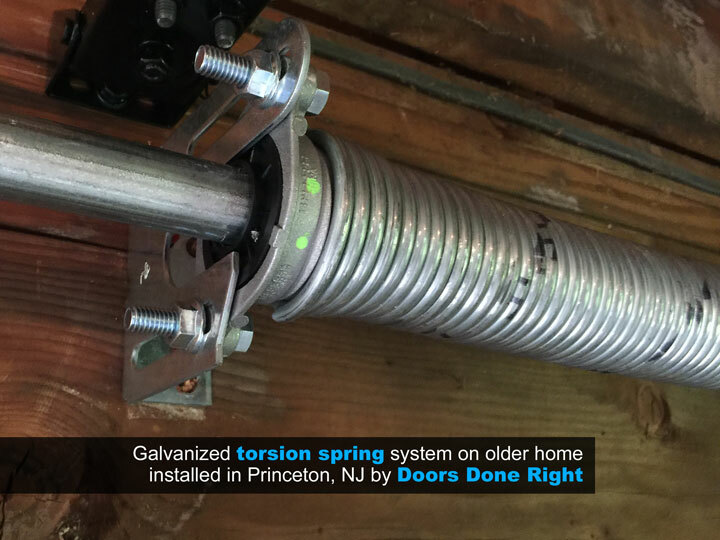 We also installed a new torsion spring system to replace the old extension springs. 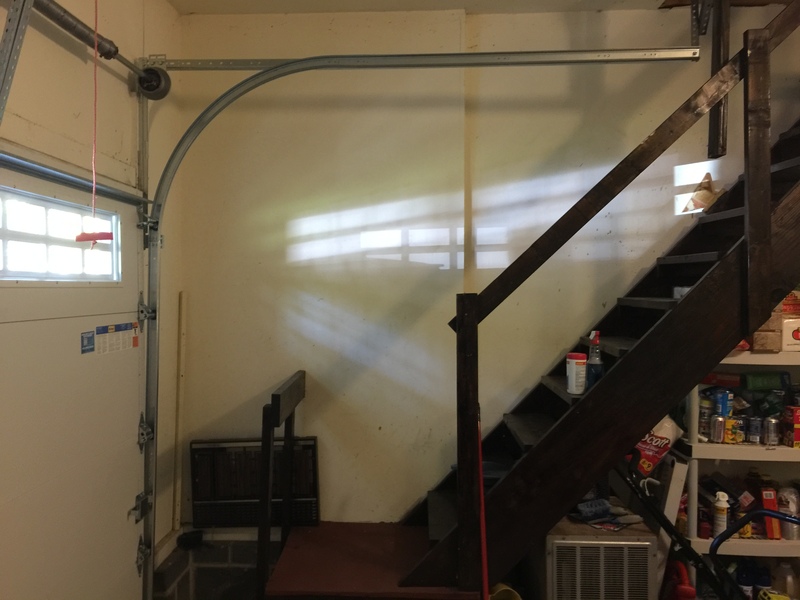 This provided for proper functioning of the 32″ radius track system, and eliminated the hazards of loaded extension springs being right alongside the stairs. 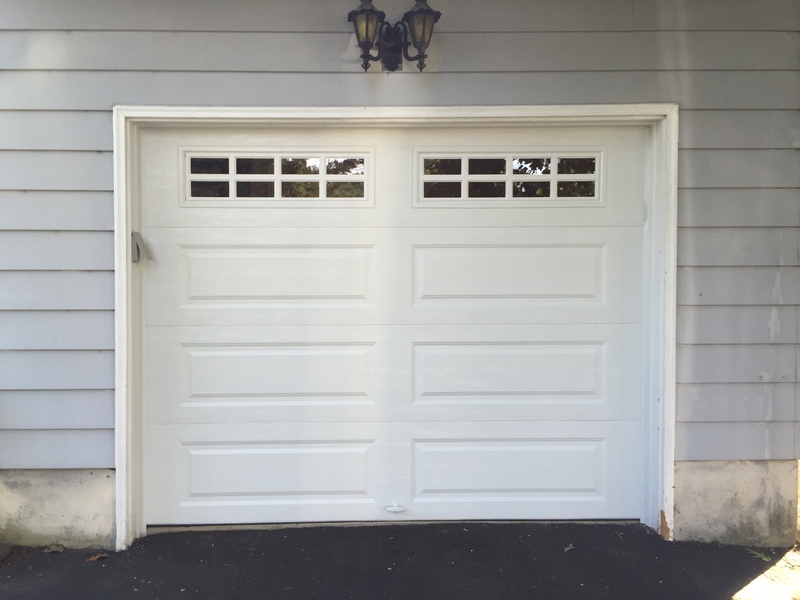 Installing a new garage door properly requires having solid, flat interior jambs that are in good condition. 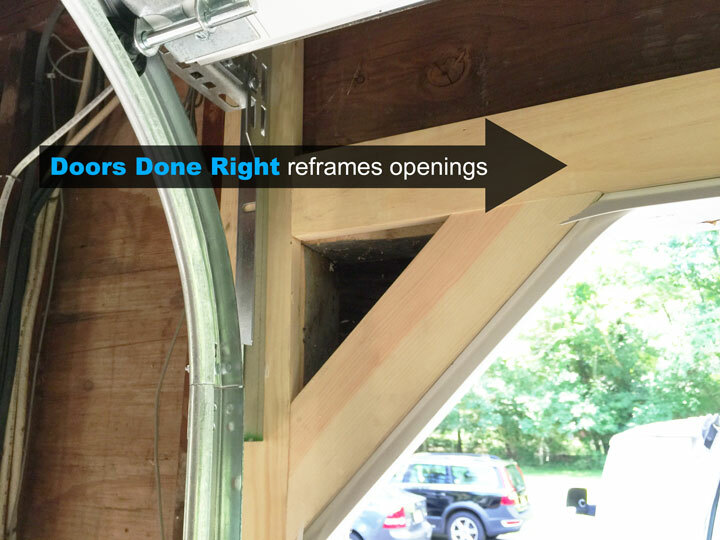 This house had jambs in place that were too short to properly accommodate the bearing plates of the new torsion spring system we were installing. 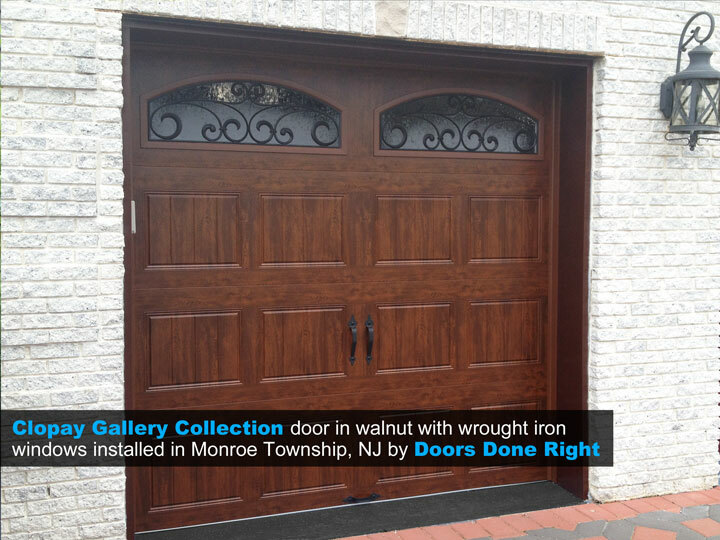 We probably could have made do, but we call ourselves “Doors Done Right” for a reason. 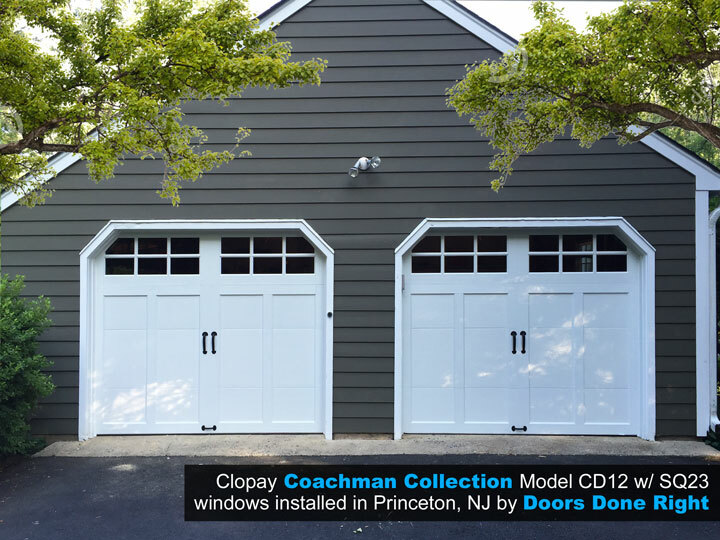 We believe in doing top quality installations to ensure that our customers’ doors ard opners are installed neatly and safely for the long haul. 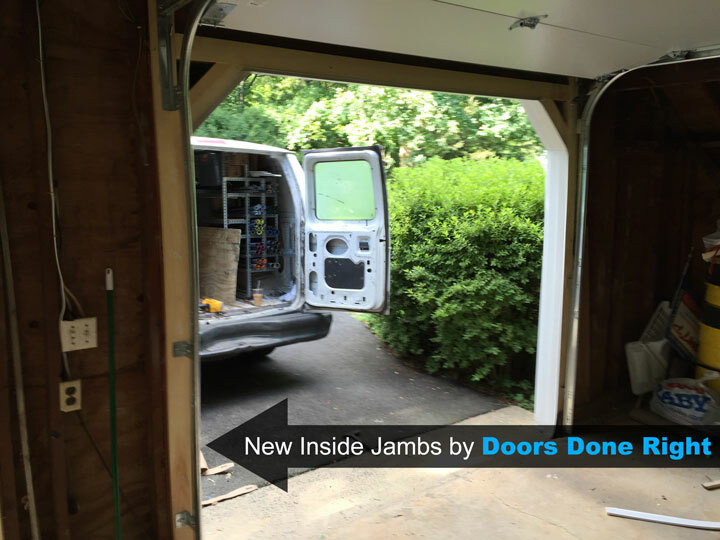 We also were installing somewhat thick doors and the concrete ledge at the bottom of the door would have become an issue with the old jamb thickness. 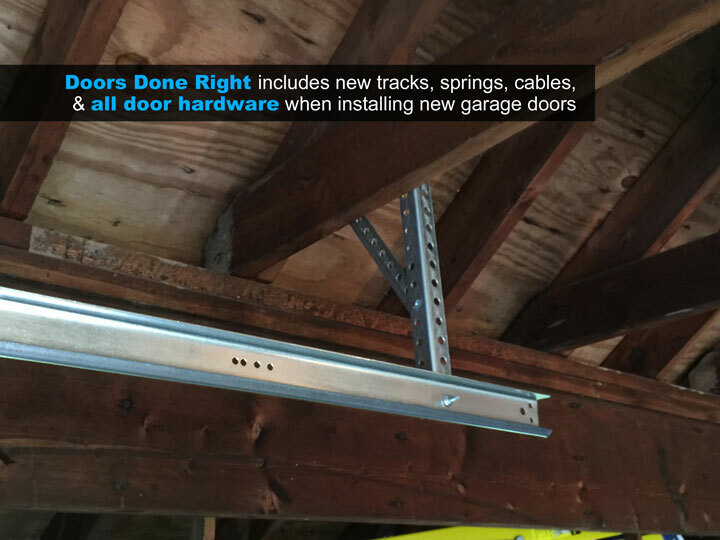 We installed new 1″ x 4″ pine jambs, drilling pilots and fastening the tracks with extra long lag screws so that they went securely into the frame of the garage, not just the jambs. 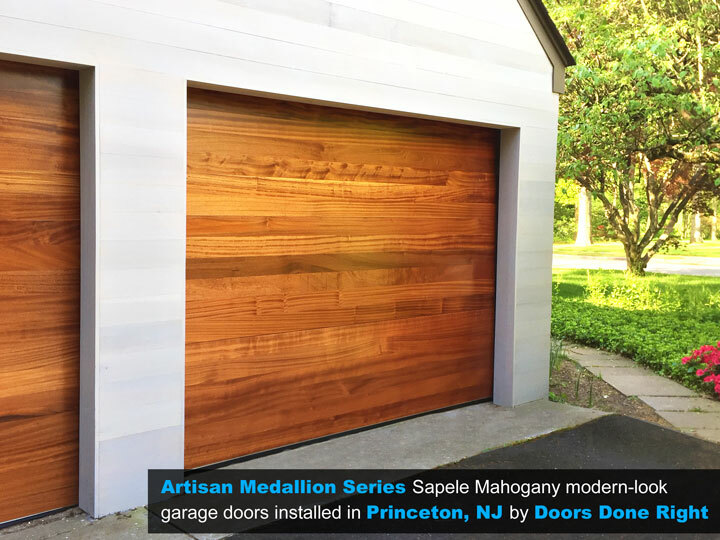 Maintaining classic charm and architectural integrity while use modern maintenance-free materials can be challenging, but when it comes to updated hardware, there should be no compromise. 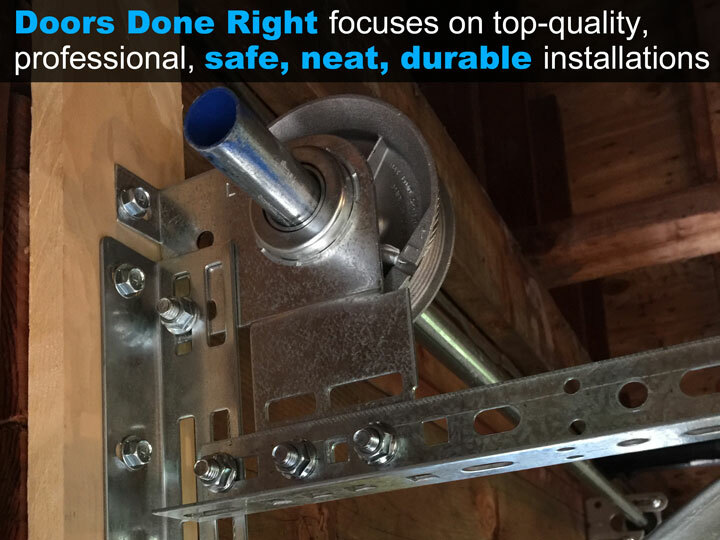 Installing quality hardware is critical to the longevity of your door. 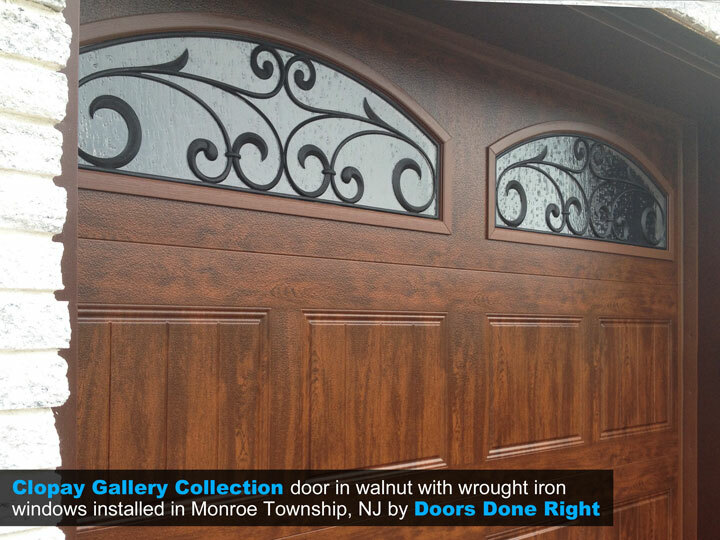 Doors Done Right upgrades the hardware on virtually every door we do, far surpassing the average dealer as well as the big box stores in value for your money. 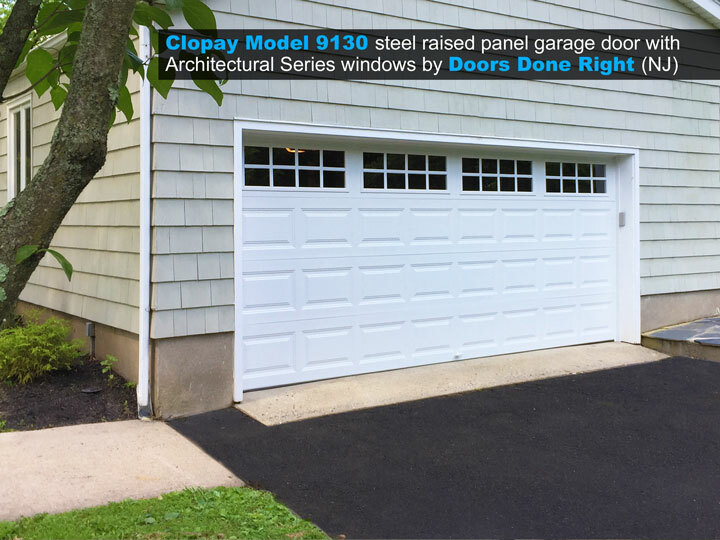 On this job, we used a torsion spring system with galvanized torsion springs, expertly installed with both form and function as critical components of a door done right. 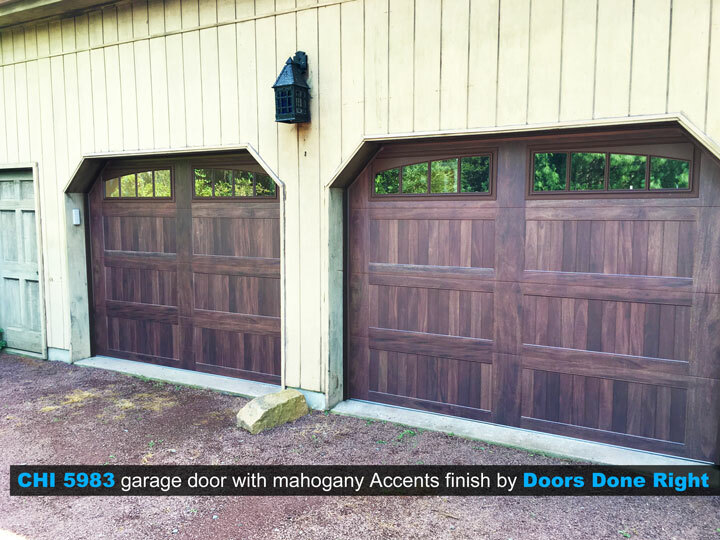 We think the customers here did an excellent job choosing these doors to meet their needs and to match the style and character of their house.